Augmented Reality (AR) technology brings fun into every activity. Everything becomes engaging and enjoyable with an Augmented Reality app: books, lessons, paintings, movies—even taking a walking tour in the ruins of an ancient city. Augmented Reality has helped convert many startup ideas into great, engaging apps. There is little doubt, it will help with yours too. 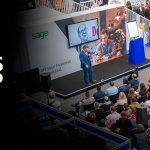 Fun and Augmented Reality: the future of apps? 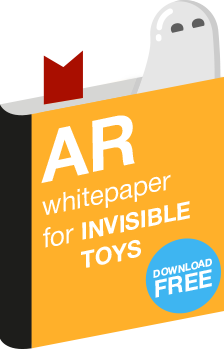 The key to fun: Augmented Reality toys offer great visualization and interactivity experiences. They turns any boring activity into an engaging adventure AR apps make it possible for people to learn something new AND have fun. They are always available—only a click on your smartphone away. No one ever needs to be idle ever again: keep busy having fun and learning while waiting for someone or something. 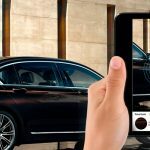 AR apps make the invisible—visible! Words describe a picture: an image makes it real. And much more…the list of AR entertaining activities seems endless. Augmented Reality apps are available for a diverse audience. They require neither special equipment nor special skills. People need only install an Augmented Reality app on their smartphones and follow the instructions (remember KIS): Keep Instructions Simple!) Users can enjoy new experiences sharing AR fun with their friends. Millions of users have nodded their approval of Augmented Reality apps by downloading, launching and rating them on app stores. 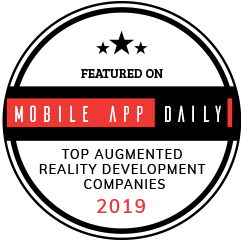 It is unlikely that a non-contested list of the best Augmented Reality apps will ever surface: it is impossible to directly compare apps from different industries, but everyone can recognize distinctive features of a “a best Augmented Reality app”. Those apps have greatly improved user experience and influenced the way people make an activity their own. Here is a list of great Augmented Reality apps that serve as benchmarks for successful startup idea for an AR project. The startup idea behind the mobile app InkHunter was to use Augmented Reality tattoo models to be aware of how a future tattoo would look. InkHunter was not very popular at the beginning. Its popularity increased after the development team improved its recognition algorithm for better user experience— more realistic pictures was all it needed. Eventually, the app gained in popularity providing a marketplace for tattoo artists and their potential clients. Tattoo artists promote their sketches. When a user likes a sketch, he or she can buy the sketch from the artists. This app provides dance practice for iOS users. While it does not replace dance classes, users can learn dance steps and moves at their own pace with AR-based footprints and pointers – and go at their own pace. The app also has both a counting voice to help set the rhythm and instructional videos to get a better sense of the whole dance. Users can choose from follow and lead steps, practice alone or with a partner. App developers promise to port it to Android soon. Considered one of the best apps in 2017, a Lithuania-based startup offers a solution for those who cannot draw but want to learn. The app provides step-by-step instructions via a smartphone screen. The user sees a sketch on the screen and copies it onto paper. The AR image disappears, but the drawing remains. The user can add additional details to the picture until it is done. However, due to its technical sophistication, the app is compatible with ARKit, Google Tango devices and Microsoft Hololens. A freemium running game from a Toronto-based development team, Semidome. 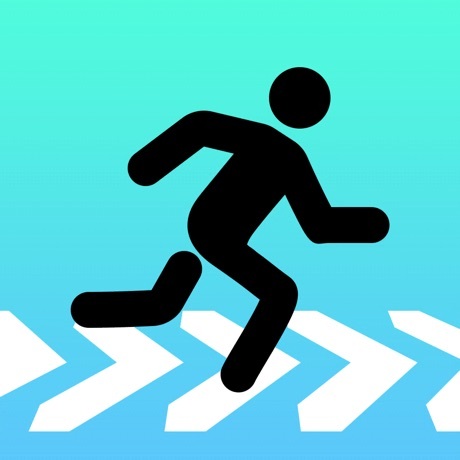 Users must activate checkpoints and then run through those checkpoints as fast as they can, trying to beat world records. Competition against the whole world makes the game even more fun. The game can be adjusted to different players and environments providing four modes, four field sizes and six field shapes. The app can be played both indoors and outdoors. Also, to add some extra fun, the app has 60 challenges for its users. Indie developer, Rinat Khanov, uses Apple’s Augmented Reality engine, ARKit, to turn an iPhone into a measuring device. The app provides seven accurate measuring tools: ruler, trajectory, marker pin, angles, person height, cube, and level. In addition, Rinat Khanov has recently introduced a magnetometer to measure magnetic fields. Certainly, the accuracy of measurements depends heavily on following app instructions. The result is worth it: your set of instruments is always in your pocket. Truly the next generation first-person shooter that mixes Augmented Reality and laser tag. 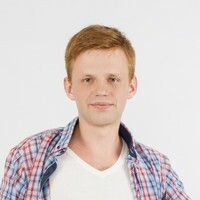 The app enables its users to organize breathtaking battles in their hometown. 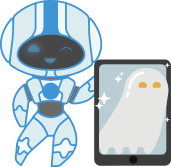 The laser tag is mounted on the user’s smartphone and communicates with it via Bluetooth. The gaming app allows players to choose between different primary and secondary weapons with different shooting range and accuracy as well as different GPS abilities. A horror game that uses Augmented Reality to make users experience different scary scenes while moving around their houses during the “midnight hours”. To survive, users look for different clues through their smartphones which display everything through a green filter—and this is where horror starts with bloody messages and good scares. App publishers recommend playing with headphones to make it more realistic—it’s up to you! 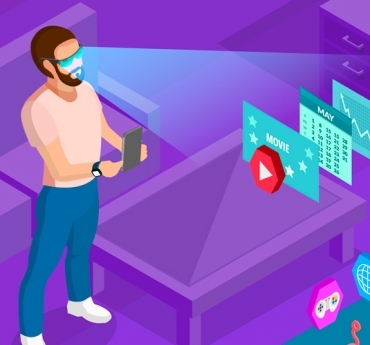 Although Augmented Reality technology is being improved steadily, one thing is certain: AR apps will redefine the way we work, entertain, and use different tools. Augmented Reality adds fun into everyday activities and makes games that were unimaginable five years ago into a new reality. Terrific Augmented Reality apps start with a great idea—then change the way people do something. The best time to start an app is right now. It is easier to create a fun AR app with the right Augmented Reality development team—capable, competent and creative.